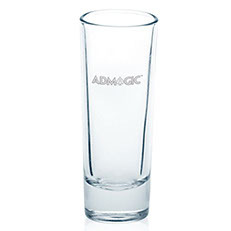 Description: 1.75 ounce personalized clear shot glass. Great for restaurants, pubs and parties! Can be used for wedding, anniversary, birthday parties or college theme! 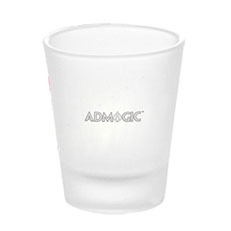 Description: Thick, tapered 1.5 ounce clear shot glass with debossed golf ball at colored base. Custom sprayed bottom glass that gives a colored hue. 2" Width x 2.25" Height. Description: Thick, tapered 1.5 ounce clear shot glass with debossed football at colored base. Custom sprayed bottom glass that gives a colored hue. 2" x width x 2.25" height. 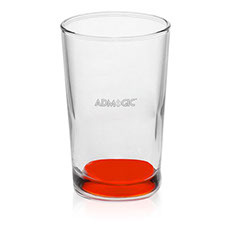 Description: Two ounce printed clear frosted shot glass with colored bottom. Custom sprayed bottom glass that gives a colored hue. 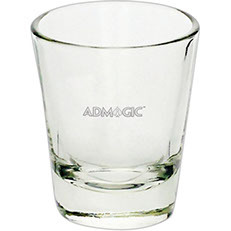 2" w x 2.25" H.
Description: Thick, tapered 1.5 ounce clear shot glass with debossed basketball at colored base. Custom sprayed bottom glass that gives a colored hue. 2" w x 2.25" h.
Description: Clear 2 oz. 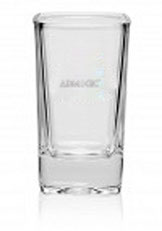 thick bottomed, elongated shooter cordial clear glass. 1.5" W x 4" H.
Colors: Black, Blue, Green, Orange, Pink, Purple, Red, and Yellow. Description: Thick, tapered 1.5 ounce clear shot glass with debossed baseball at colored base. Custom sprayed bottom glass that gives a colored hue. 2" w x 2.25" h.